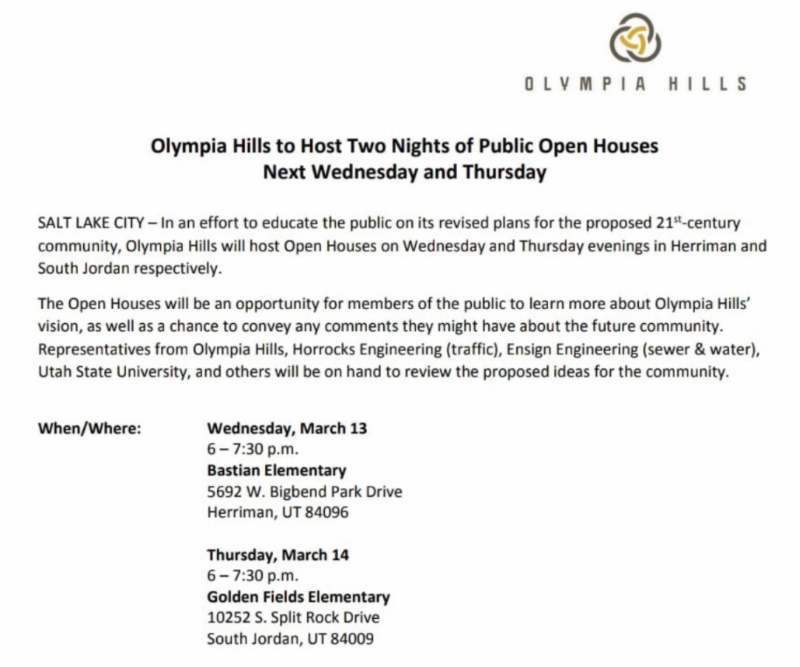 The developers behind the Olympia Hills project have announced two open houses and have invited members of the public to attend to learn more about their revised project proposal and "convey any comments they might have about the future community." Open houses will be held on March 13 (Bastian Elementary) and 14 (Golden Fields Elementary), from 6-7:30 p.m. Residents who have questions or concerns about the project are encouraged to attend. The Olympia Hills project area lies to the west of Herriman, and was first proposed last year prior to being vetoed by the county mayor. 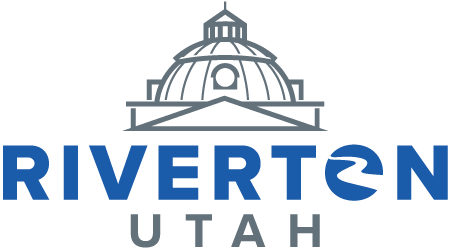 Click here to read the Riverton City Council's initial statement in opposition to the project. 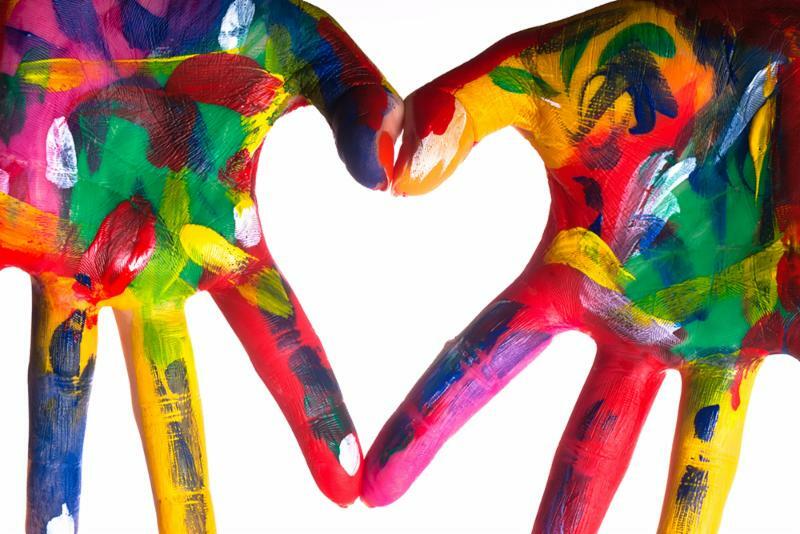 We're on the hunt for creators and artists between the ages of 5 and 20 years old to enter artwork into Riverton City's annual Not Your Parents Art Show. The art show takes place March 25 to April 24 at the Old Dome Meeting Hall. Artwork entry applications are due by March 13. Details at the button below. 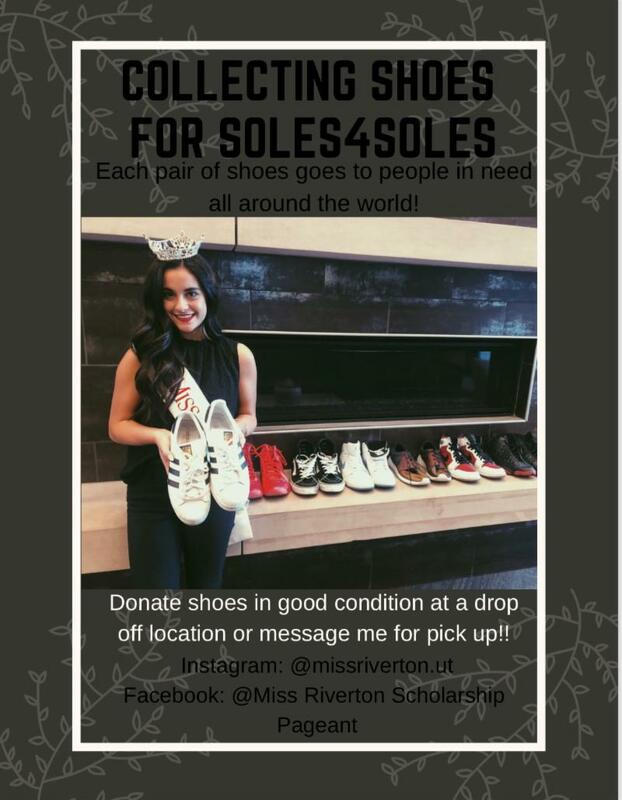 Do you follow Riverton City on Twitter? If not, click here! Riverton City will begin maintenance on the secondary water system on March 15. To ensure your irrigation system is not damaged and that your property is not flooded, secondary water connection valves should be turned off prior to that date. 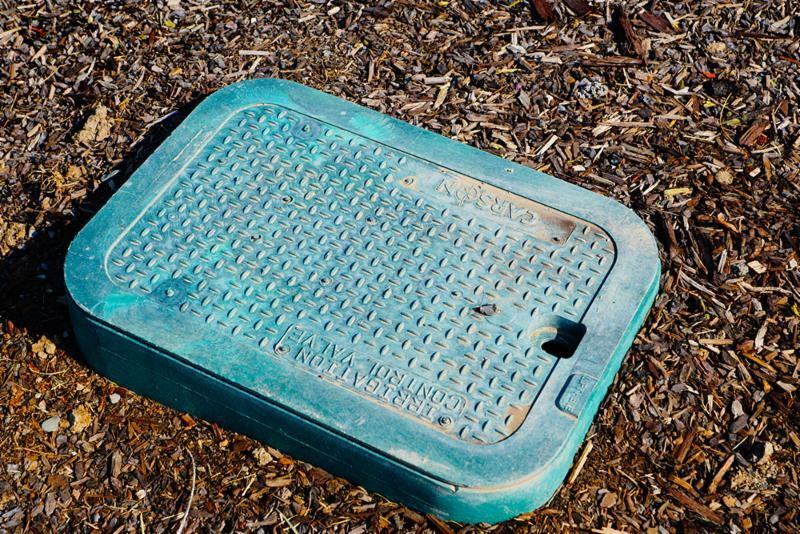 The valves are located in the green secondary water box, most likely in your front yard. Secondary water will be available for use beginning May 1. Big congratulations to Riverton Resident Orson Colby for winning the youth men's luge national championship! 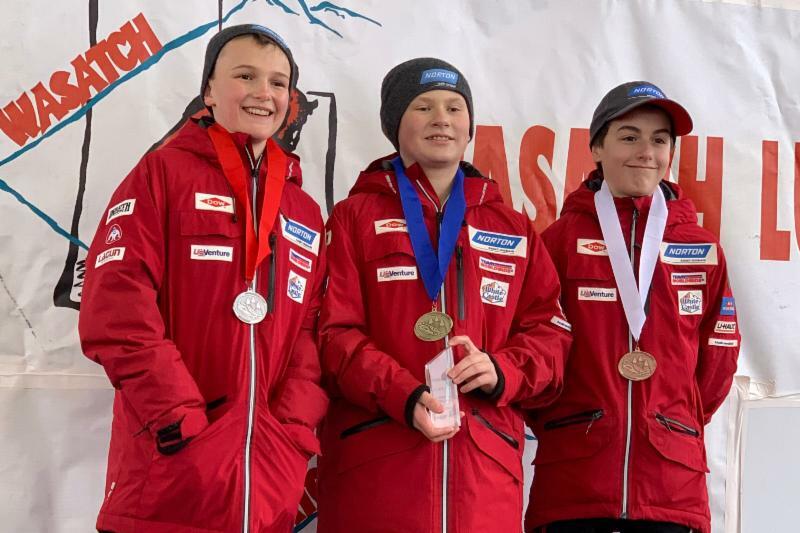 Orson took home the championship title at the National Youth Championship in Park City on March 3. Orson is currently a 7th Grade student at Oquirrh Hills Middle School. He hopes to one day compete in the Winter Olympics! 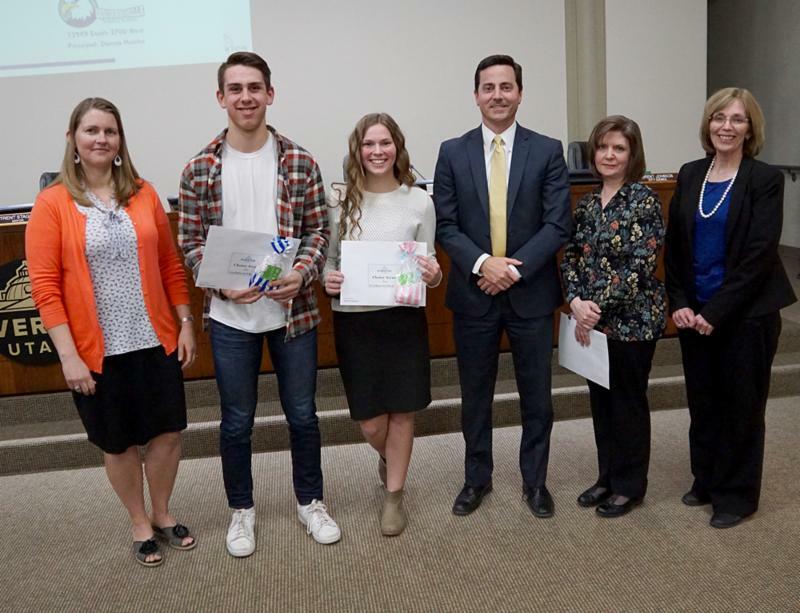 Congratulations to Oquirrh Hills Middle School students Saydee Lambert (center-left), Joshua Jacobson (2nd from left), and teacher Catherine Maxfield (2nd from right) for receiving the Riverton City Choice Awards for Excellence in Education! They are pictured here with Councilwoman Tawnee McCay (left), Mayor Trent Staggs (center-right), and OHMS Principal Donna Hunter (right). Mayor Trent Staggs issued a proclamation on March 1 designating March as "Women's History and Leadership Month" in Riverton and recognized all the women who have served in the city throughout its history, including current Councilwomen Tish Buroker, Tawnee McCay, and Tricia Tingey. Councilwoman Tish Buroker recently organized a meeting with women who have held elected office in the city. 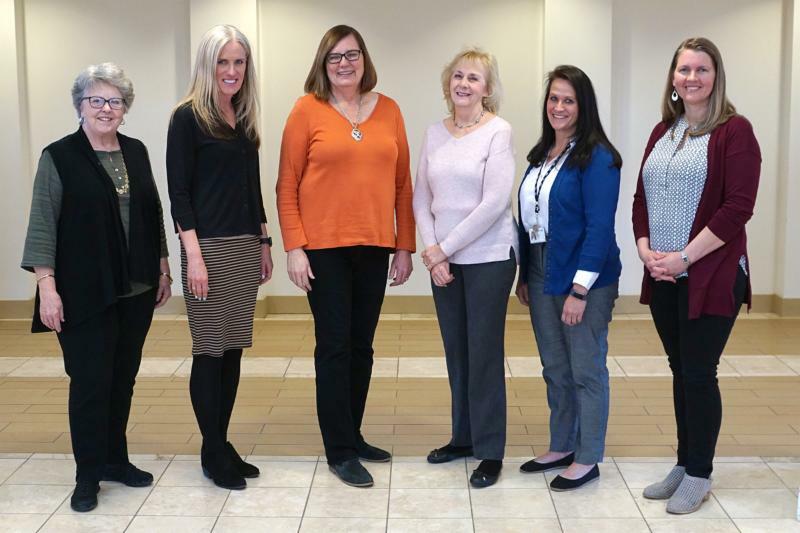 Those who attended are pictured in this photo from left to right, including: Gayla Brinkerhoff, Karma Bentson, Tish Buroker, Jan Wells, Tricia Tingey, and Tawnee McCay. A glass recycling collection bin has been placed behind City Hall for use as needed. Residents are save their drop their glass recycling their as needed. The bin is accessible from Park Avenue. 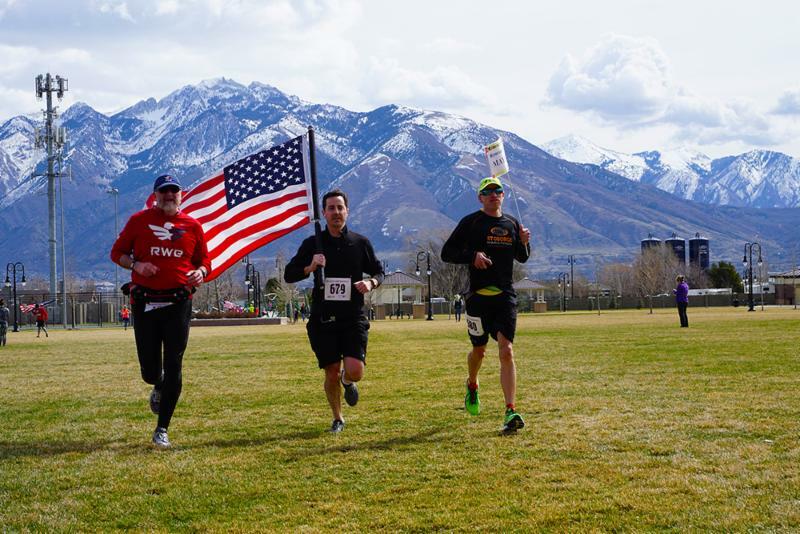 To view the Riverton Library's March event calendar, click here. To view the latest Mayor's Minute video introducing Riverton City's new police commanders, click here. 10 showings to choose from! Winner of three Tony Awards, three Outer Critics Circle Awards, two Lucille Lortel Awards and two Obie Awards, Urinetown is a hilarious musical satire of the legal system, capitalism, social irresponsibility, populism, bureaucracy, corporate mismanagement, municipal politics and musical theatre itself! 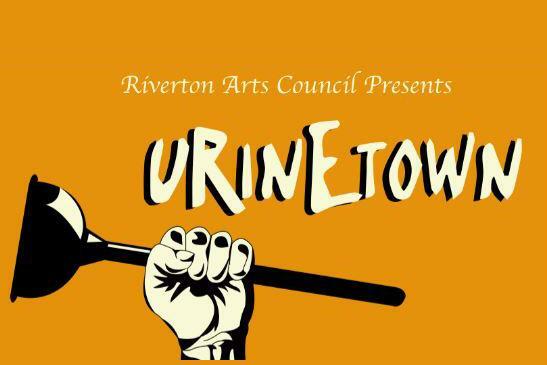 Hilariously funny and touchingly honest, Urinetown provides a fresh perspective on one of America's greatest art forms. QPR is to suicide what CPR is to cardiac arrest. If enough people in the community are trained to recognize the signs of suicide and intervene appropriately, we can reduce the number of suicide deaths in our youth. QPR training is open to anyone interested. All community members who interact with youth on a regular basis are encouraged to attend. 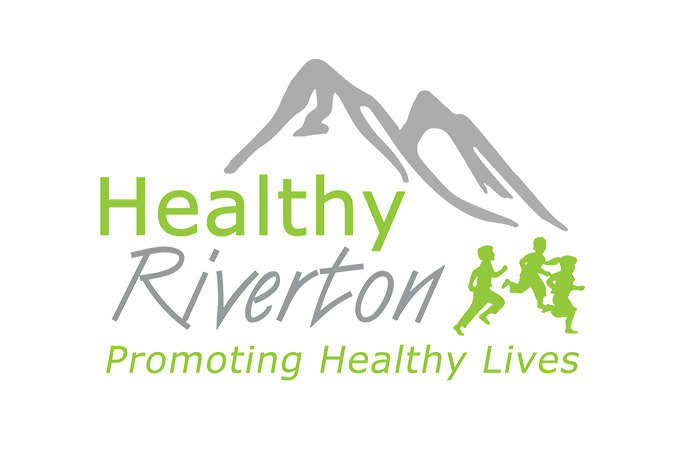 Healthy Riverton provides the training for free and can train specific groups. March 14 – Planning Commission Meeting – City Hall – 6:30 p.m.